1. 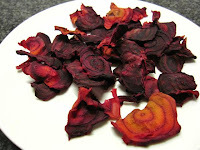 Beetroot chips - Usually vacuum packed beets are cheaper than fresh, but its up to you which you use. Slice into thin crisps, its easier to use a peeler than a knife to make thinner slices. Lay onto a paper towel to remove excess moisture, then toss with olive oil in a bowl. Single layer and oven roast on the lowest shelf for 20 mins on a low setting. This also works nicely with parsnips, courgette, potato and sweet potato. 2. 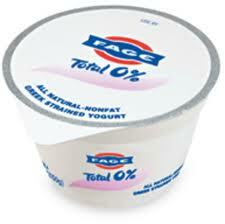 Greek yoghurt - Adding toppings makes the snack. So the traditional Greek yoghurt and honey or tinned tropical fruit mix, you could also use jam if your really skint. Chocolate chips and crushed nuts. 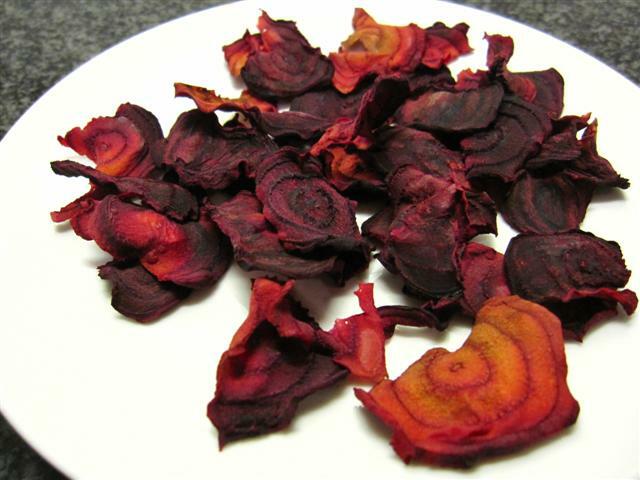 Dried fruit is also good, but slightly expensive. Total is a really nice brand but store brands are still good. 3. Tomato and mozzarella stacks - Just simply slices of tomato with mozzarella drizzled in olive oil. Or spreading cheese topped with chives. 4. Chocolate popcorn - Pop and add a bag of chocolate chips. Sesame - Toss 4 cups of plain popped popcorn with 1/2 teaspoon of sesame oil and 1/2 teaspoon of sesame seeds. Or you could use plain popcorn topped with butter. Its usually cheaper to buy plain popcorn. 5. 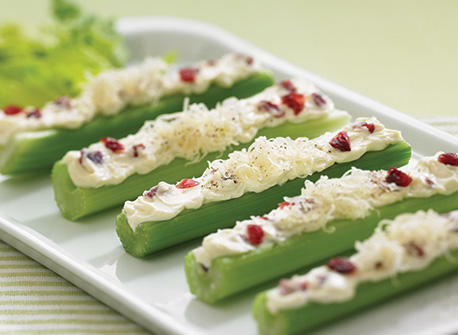 Celery sticks and dip - Hummus is delicious or you can pick up any chip dip like cheese and chive, garlic and 3 cheese. Stuff the curve with chopped chorizo or red peppers and grated cheese. 6. 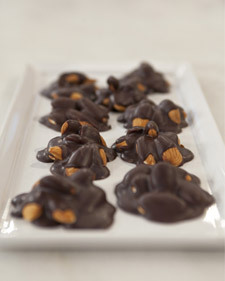 Chocolate and nut clumps - Melt 1 bar of cheap supermarket chocolate. To do this you can either microwave at 15 sec intervals. This method burns quickly. Alternatively snap the chocolate into a bowl and place over a boiling pan of hot water. Don't let the water touch the bowl, just let the steam work. Add in the nuts, mix and drop into small bowls on tin foil and refrigerate. 7. Sweet potato chips - Peel, slice into french fry shapes and fry in shallow olive oil. Or you could just slice across and make circle shapes, this is so much easier. Season with a pinch of salt and vinegar. 8. 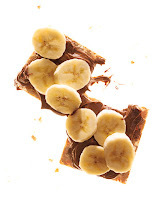 Peanut crackers - Spread peanut butter and lay sliced bananas over crackers. You could also use Nutella, but unless you have a £land near you its going to be pretty expensive. 9. Caramel dipping apples - Melt 50g of butter with 200g of brown sugar or caster. Stir over a low heat for 5 minutes. Remove from heat and mix 125ml of cream until combined. Slice apple chunks and dip. 10. 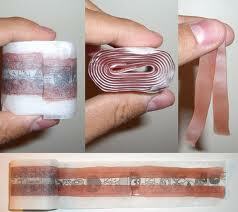 Fruit leather - You'll need some fresh fruit. Peel and core depending on what fruit you've chosen then chop. Now boil them in a saucepan, you'll need 1/2 cup of water for 4 cups of chopped fruit. Simmer and cover for 15 minutes. Use a potato masher to mash the fruit in the saucepan. Taste and see how sweet you'd like your leather and add sugar accordingly. Add 1 tablespoon of lemon, this makes the fruit taste stronger. Add spices if desired, cinnamon, nutmeg. puree in a blender and pour into a baking tray. Cook at 140 degrees for 8 hours. Its a long time but its worth it if your just in the house for the day to keep an eye on it. Slice and eat.